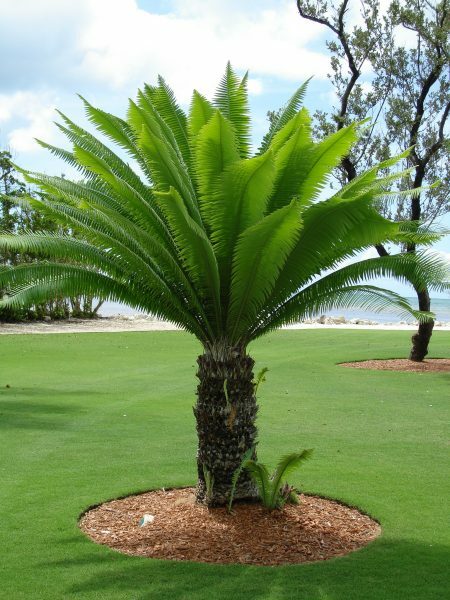 Solitary, pinnate cycad. Trunk to 35 feet with 10 inch diameter. Light to medium green leaves have spines along leaflet edges. Overall height to 45 feet. Requirements Prefers alkaline to neutral, well-drained soils. Growth rate medium. Tolerates brief cold dips to just under freezing. Has a slight salt tolerance.